Trust your healthcare maintenance work to the experts with no job too large or too small for our team of skilled tradespeople. We’ll be on your doorstep within 24 hours (on business days) of your maintenance request to provide an instant fix where possible, or to complete a site assessment for more complex jobs. We service the Greater Sydney area with no lock-in contracts. We operate on a do-and-charge basis for urgent maintenance and repairs, or we can prepare a quote for larger or on-going jobs. At Cassins we ensure all projects and services are completed on time. At Cassins we make sure all projects and services are completed on budget, ensuring we don’t go over. At Cassins we guarantee all projects and services are defect free. At Cassins we do all jobs ourselves, from designing to manufacturing. Carpentry and Joinery: We can adjust or manufacture office joinery to maximise storage space or to accommodate new office equipment such as printers. General maintenance and repair: You can count on our team of skilled tradespeople for all your general maintenance needs. There is no job too large, or too small. If you are not sure if we can help you, just ask us! You will be surprised with the varied requests we receive from our clients. Office Interiors: From hanging pictures and pinboards to assembling furniture and replacing curtains and blinds, we’ll look after your everyday maintenance requirements. Plumbing: From repairing hot water heaters and dishwashers to fixing bathroom leaks, we can project manage all your commercial plumbing needs. Electrical: We’ll replace faulty lights, add new power points, supply and install TVs into your reception area and project manage all your other electrical requirements. 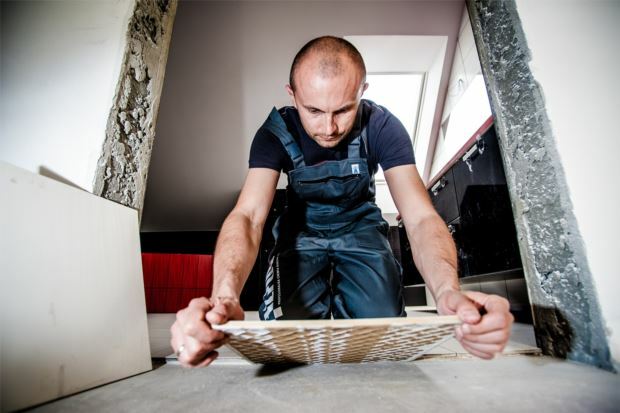 Flooring and upholstery: We can supply and install carpet tiles following water damage from a leak, and repair other flooring issues to keep your staff and customers safe. Painting: Call on our painters to quickly complete all your painting requirements, from small touch ups to full interior paint jobs. 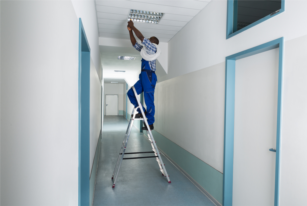 Ceilings: We can supply and install ceiling tiles following water or other damage, and repair leaks or other damage to your ceilings. Minimum call out fee of $165 + GST (which includes one hour labour on site) plus hourly pricing at $75/hr + GST plus cost of any materials required. Or as us for a quote first. to discuss your Maintenance requirements.